"one of the most boring airports"
Not Verified | I use this airport to get to and from work. Flight at the start from Cairns and a flight from TSV to Cairns. Because I just missed a flight to Cairns at 12.25, I had to wait 6 hrs for the next flight to Cairns with Qantas. Cannot check my luggage in with Qantas as no one is there, have to sit near the the strand cafe bar as there is not one shop outside of security to buy a book etc.. Would have to be one of the most boring airports ever. Certainly about time the airport requires an upgrade. ✅ Verified Review | The airport has basic facilities and I think it works when it has little traffic. The staff are nice and friendly. There are very limited options if you want to eat something at the airport. After the security, there are only two cafes without good meal options. The seating at the gates is limited. Most of the gates are located upstairs with limited space. Considering the fact that passengers arrive and depart from the same gates, they sometimes get very crowded. 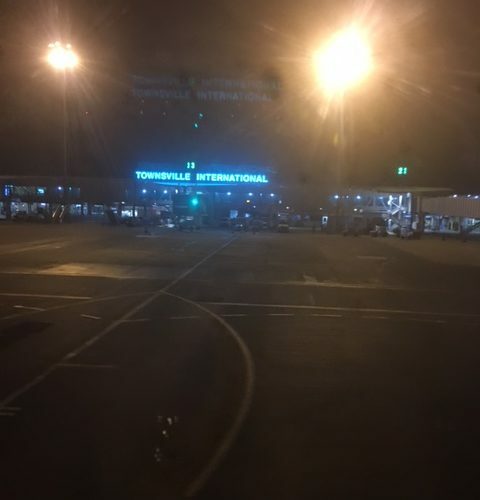 ✅ Verified Review | Townsville is a delightful little airport. They even use air bridges which was a surprise. It is a little crowded as the area for departures / arrivals is quite narrow but really very minor issue. You exit down an escalator to retrieve your luggage which was pretty fast. There is a cafe there and behind are very clean washrooms. A positive experience, no fuss whatsoever. Departing this charming airport the security staff were the friendliest I have come across. Lots of glass and places to sit in the departure area and all with a minimum of fuss. 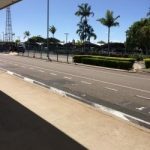 Well done Townsville Airport, I loved it. Plus there was almost no traffic outside at all. Easy access by car. Small but spacious building. 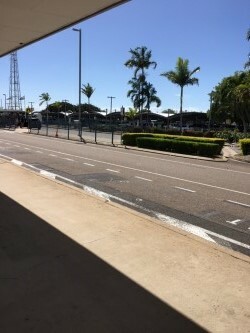 A couple of cafes landside and large cafe airside. Plenty of seating and clean toilets. Smooth processing at the x-ray check point and plenty of screens with info as well as clear PA system. Excellent wi-fi. A pleasant experience. Comfortable and clean provincial airport. Didn't use any facilities other than the toilets which were clean and tidy. Only real criticism is lack of seats at the gates - I was on a full A320 flight to Brisbane and there were only seats for about 100 passengers. There is also no segregation of incoming and outgoing passengers - the former have to weave their way through those people waiting to board. Passengers seated in the rear half of the cabin were requested to go down stairs across the tarmac then up stairs to the rear door of the aircraft. However by the time I reached the front of the queue the outside doors had been locked so I had to fight my way through the whole length of the aircraft cabin. Arrived for domestic flight to Cairns checked in online and no hold bags so straight to departure lounge. Security queues reasonable at early morning departure. On arrival back straight off plane there were 2 other aircraft at the gates and lots of people inside the terminal. Arriving and departing passengers not separated so bodies everywhere which slowed down getting outside. Being a small domestic airport everything is compact so no long distances to traverse.